It's simple really. Just reach out with your needs. We'll initiate a conversation and begin the process of partnership towards achieving your agile goals. The simplest way to engage us is to go to our Contacts page and enter the nature of your request. We promise to get back to you within 2-3 business days with a reply to setup a more face-to-face conversation via videoconference or Skype. Our blog is a great way to get a picture of our experience, strategies, tactics, and general approaches to "agile"
We've found that any agile coaching and/or training relationship is much better when we get to know one another better. The challenge is - how to do that? We've come up with a novel approach that puts our money where our mouth is. We call it - "It's Just Lunch". We schedule a 1-day session where we come to you and deliver agile training and coaching - for free. All that we ask is that you cover our travel costs. We've found this to be an outstanding way of sharing information and checking to see if there is a match between your needs and our capabilities. And beyond that, it's a FUN way to meet. Keeping with the theme that we often put our money where our mouth is, we often engage companies in pro bono agile training and coaching. Of course it depends on your location & needs and our schedule. We often use this as a means of "sharpening the saw" in skill-set areas that have gotten a bit rusty. For example, we're always looking for Kanban coaching opportunities to keep that "side" of our skill-set sharp. You can get more information by reaching out on our Contacts page. As an extension to our coaching practice, we are often asked to come in and assess "how Agile" an organization is and to recommend improvement ideas. We have the assessment tools and experience to provide sound guidance to accelerate your agile transformation. Our assessments are simply an immersed & collaborative visit to your teams. We'll attend a wide variety of your agile team ceremonies and observe them and your teams. We'll also sit down for 1:1 sessions with a varied group of your team members (and roles). Afterward, we'll deliver a written assessment with a hand-full of high-impact recommendations for improvement. We use the Agile Journey Index (AJI), developed by Bill Krebs, as our assessment tool. You can find the book describing the index here and a video explaining it here. We can leverage it for a specific team or an entire organization. Often we'll meet with your Scrum Masters, Product Owners, and Leadership team to deliver the assessment in-person. Even more often we'll meet with the entire team -- in an effort to support full transparency. Either way, we find this approach to be the most effective way to create the discussions towards improving your practices. Our experience is that teams and organizations typically react very well to our insights and that the assessment results in a significant up-tick in overall performance. Please download our assessment overview here for more information and reach out to us for a discussion surrounding your assessment needs. Sometimes you just want a "second opinion" on how well your doing. This provides that insight. We much prefer extending our "Endpoints Coaching" model (see Coaching) with the addition of periodic assessments. We prefer doing these on a quarterly basis and find that it serves as a team-wide retrospective that helps enhance your continuous agile improvement. This also has the added benefit of trending our observations and your improvements over time. This allows both of us to consider context and continuous improvement over the longer term. This is a much preferred model for us. This is a particular area of strength that we bring to our assessment services. As part of delivering the 2'nd Edition of our Scrum Product Ownership book, we developed an assessment framework focused towards Agile Product Management and the Product Owner role. It's based on and extends the Agile Journey Index framework. We've found it to be a great help to Product Owner-oriented organizations to understand what "Good" looks like within the context of the organizational and team aspects of the role. Here's a blog post that goes into more detail. For nearly 20 years Bob Galen has been sharing his experience with national and international audiences. His delivery is energetic, passionate, and full of relevant stories. His practical experience truly shines through. Bob has nearly a 20 year track record of actively sharing on a wide variety of software development and leadership topics to a diverse set of audiences both here and abroad. If there's one consistent theme we hear from attendees its that Bob is a passionate technologist, dynamic communicator, and pragmatic thought-leader. Here is an overview that highlights Bob's speaking experience. If you're looking for a dynamic keynote or software related presentation for your organization or event, we encourage you to reach out and check on our availability. We typically are booked 6-9+ months in advance, so best to reach out early. I’ve been working with Bob Galen for the past 10+ years with his ongoing speaking at and support of our conferences. Bob began speaking for us in 2002 and has been a regular speaker for our conferences ever since. Bob has provided track sessions, and half and full day workshops across all of our conferences. He is a subject matter expert in many agile areas and our delegates always appreciate his real-world and practical insights. His evaluation scores are consistently high. I feel Bob is a strong communicator and teacher. To that end, we invited him to present a keynote at StarWest in 2010 and an Agile Development Practices keynote in 2011. We pride ourselves on the quality of our presenters, so this is another indication of the value and relevancy Bob provides to our delegates. Something that sets us apart is the strength of our working partnerships with like-minded colleagues and firms. We've established a strong network that expands our impact to your organization. In an effort to increase the capacity of my active and growing RGalen Consulting firm, effective in March 2019, I've decided to partner with Vaco Agile as a Principal Agile Coach. The vision is for us together to build a new kind of agile consulting practice. One where you get incredibly experienced, real world coaches and trainers who've lived agile for more than a couple of years. Who have true Enterprise level agile transformation experience. And who have significant, in-the-trenches, senior leadership experience. In a word, a practice that you can trust with your business and your teams. 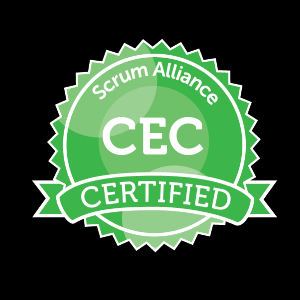 We also want to build a team of Scrum Masters and Coaches who we mentor and grow towards consistent agile practical knowledge and tactical excellence. So that we can scale in delivering a new style of pragmatic excellence in these roles to our clients.